The fastest way to digitally transform your labeling. You are viewing an older version of this NiceLabel product. We recommend you check the recently released NiceLabel 2017. 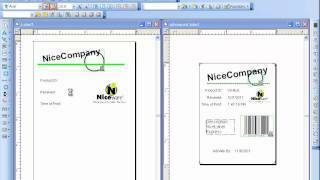 NiceLabel Designer Pro offers all the layout and data features you need for high quality label design and error-free EasyForms printing. Logging of print data and password access control provides you with security and a full audit trail of all labels printed. NiceLabel Designer Pro includes all the layout and data tools you need to design labels, enabling easy compliance with industry standards. Unicode support enables you to design international labels with multiple languages on one label. EasyForms give your operator simple label printing, all within one form. Achieve error-free printing by reducing data-entry errors, label misprints and duplicate serial numbers associated with printing from multiple dialogue boxes or label design programs. You already have your label data in a database, so why not use it to improve your labeling? Rather than create lots of near identical labels, design a few templates and connect them to your existing data. Variable label data can come from as many sources as you need. Full serialization, including non-decimal serial numbers, custom barcode check digits, global variables, output masks, date/time arithmetic and scripting help you easily create complex variables. Connect your label printers to your existing software applications and hardware devices without any customization. Simply send existing label data through one of the many available connectivity methods to Automation Easy. 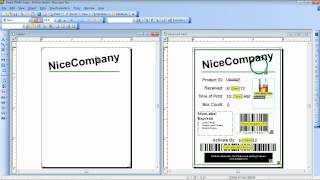 It will extract the label data, merge it with a label design template, and print to a selected printer. Automation Easy is the fastest way to deploy accurate and consistent label printing without costly custom development. Learn about the basic label objects, alignment tools, and variable data integration. See a comprehensive overview of label design, from basic to advanced customization. 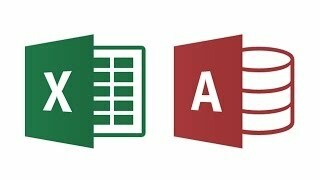 See how you can quickly connect to a database and use variable data in a label.